Among other things, NORD has extended its industrial gear unit series. 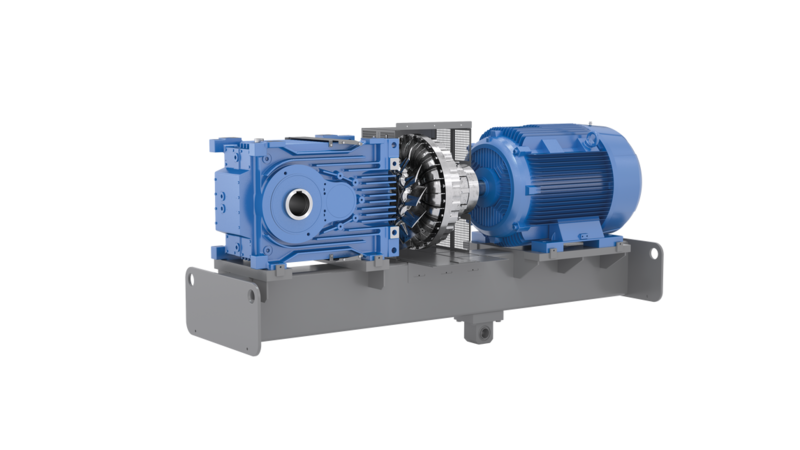 The new 2-stage MAXXDRIVE® XT angled industrial gear units were specially designed for applications which require low speed ratios in combination with high powers. Output torques range between 15 and 75 kNm with speed ratios of 6.3 to 22.4. Seven sizes are available for powers from 50 to 1,500 kW. As standard, the series is equipped with a heavily ribbed UNICASE housing and an integrated axial fan. Due to the increased surface and the air guide covers, the cooling air flow is optimised and a very high thermal limiting power is achieved. In many cases, addition cooling is not required. Large roller bearings and centre distances increase the load capacity and service life of the components.